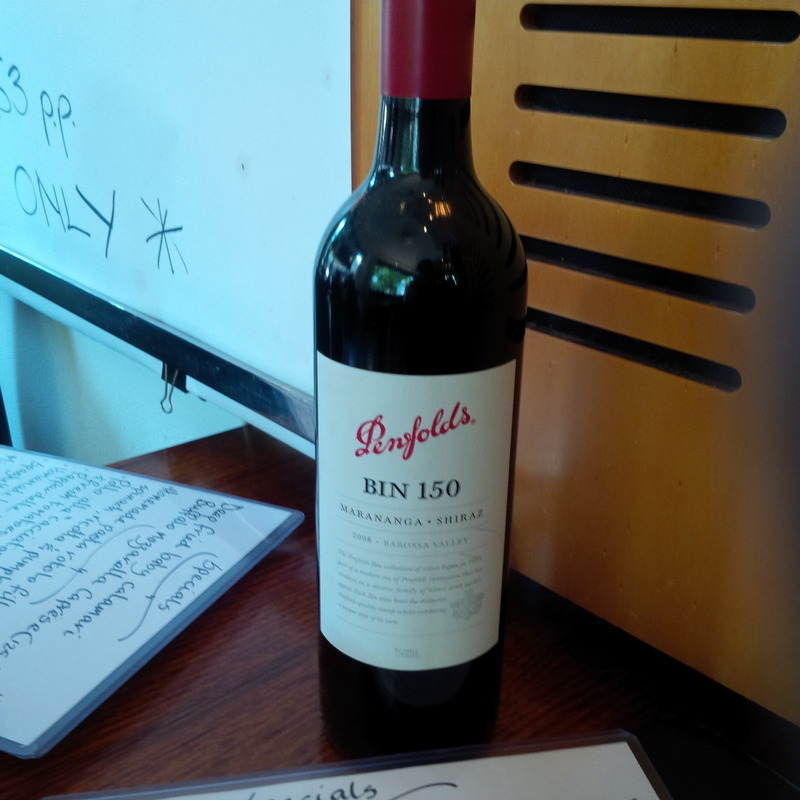 ‎I managed to secure a beautiful bottle of Penfolds Bin 150 Marananga Shiraz (2008) sometime last year. The bottle had a treasured place both in my wine collection and my heart. I had my heart set on sipping it at an amazing BYO dinner. I looked at various BYO locations over the past year and none seemed to appeal to me. Then I recently recalled a conversation with a girl at house party I attended over a year ago. 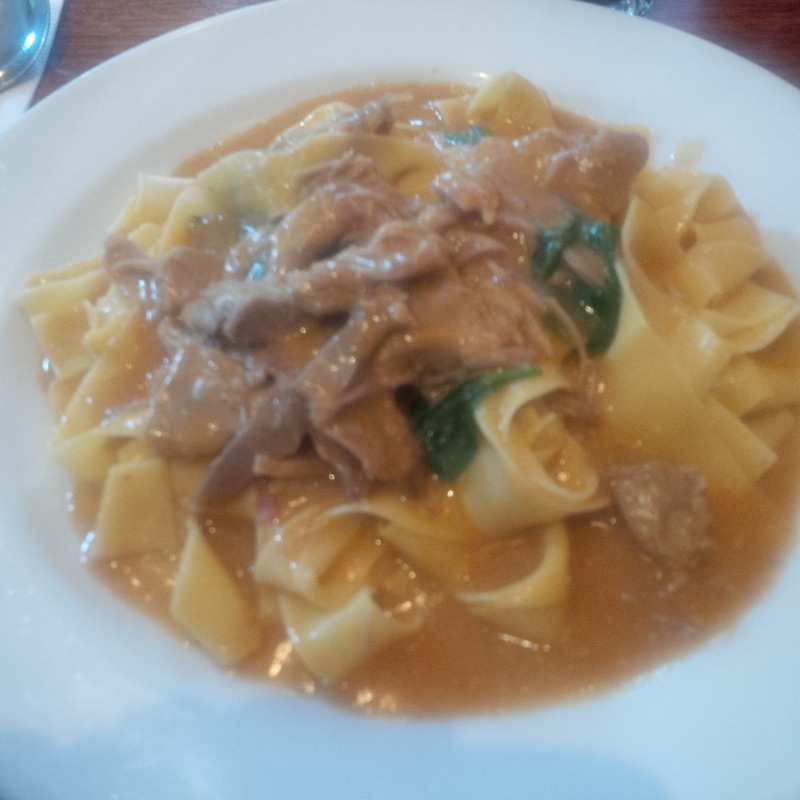 She recommended a classic BYO Italian restaurant in Surry Hills. In the midst of my traveling and culinary exploration I had completely forgotten about it. The restaurant was Il Baretto. A no fuss, simple BYO restaurant with a focus on substance rather than style. So I take my beautiful bottle (cradling it in my arms as mother would hold her new born child) and make my way into the heart of Surry Hills for dinner. The wine is opened. It’s an exciting moment. The waft of dark berry fruits seduce and hints of chocolate fill the nasal senses. As you sip that first drop, intense dark berry fruit flavours hit you the palate. It’s a classic Shiraz with the usual spice. The wine ticks all the boxes in terms of structure, integration and balance. It is truly a stunning wine. It is beautiful. The bruschetta is ordered as a quick starter. Soft juicy tomato pieces, seasoned with basil on a crusty slice of bread drizzled with a flavoursome olive oil. 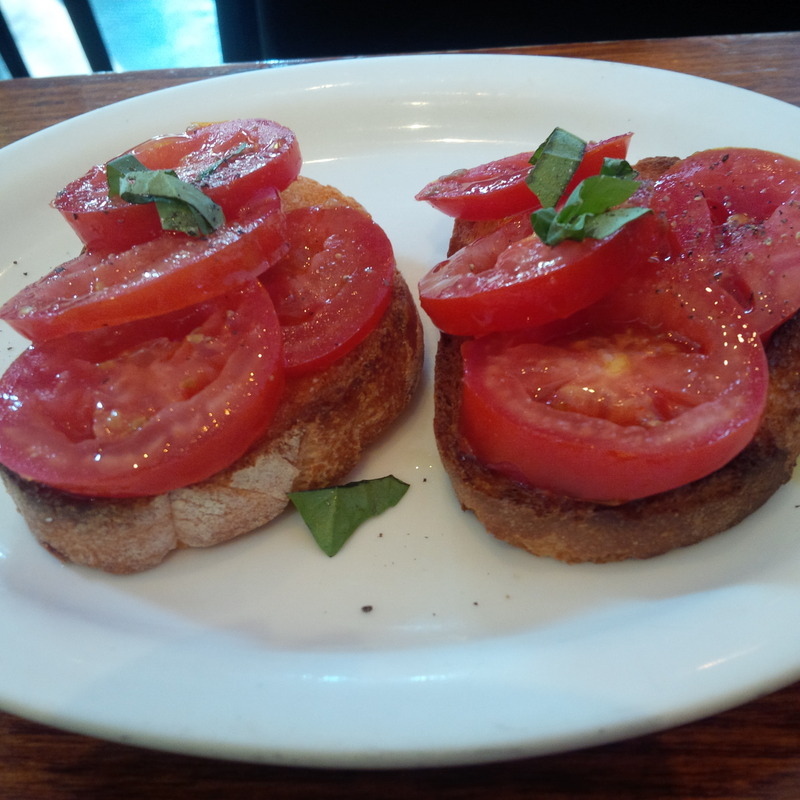 The textures of the soft juicy tomato which pairs with the ‎crusty rustic bread is amazing. It’s a simple dish which only has the lightest seasoning to ensure the produce steals the show. What a perfect way to start the evening. The chatter continues, the atmosphere builds, the waitress get into the rhythm of the evening (the service here is perfect). The entrée is a beautiful plate of beef carpaccio. 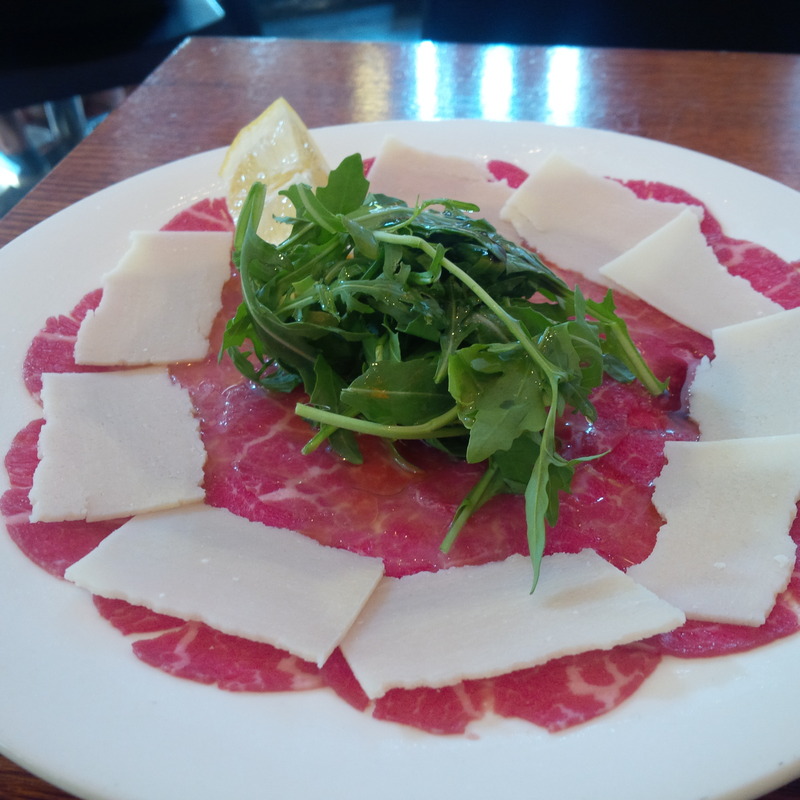 Thinly shaved beef with fresh slices of pecorino cheese slices, rocket leaves and a dash of balsamic. The natural flavours of the beef shine with the most flavoursome marbling. It’s a star on its own. The distinctive flavour of the cheese‎, peppery rocket leaves and of course the tangy flavour of the balsamic really provides great flavour and support to the beef. The wine also provides a great accompaniment to the dish. 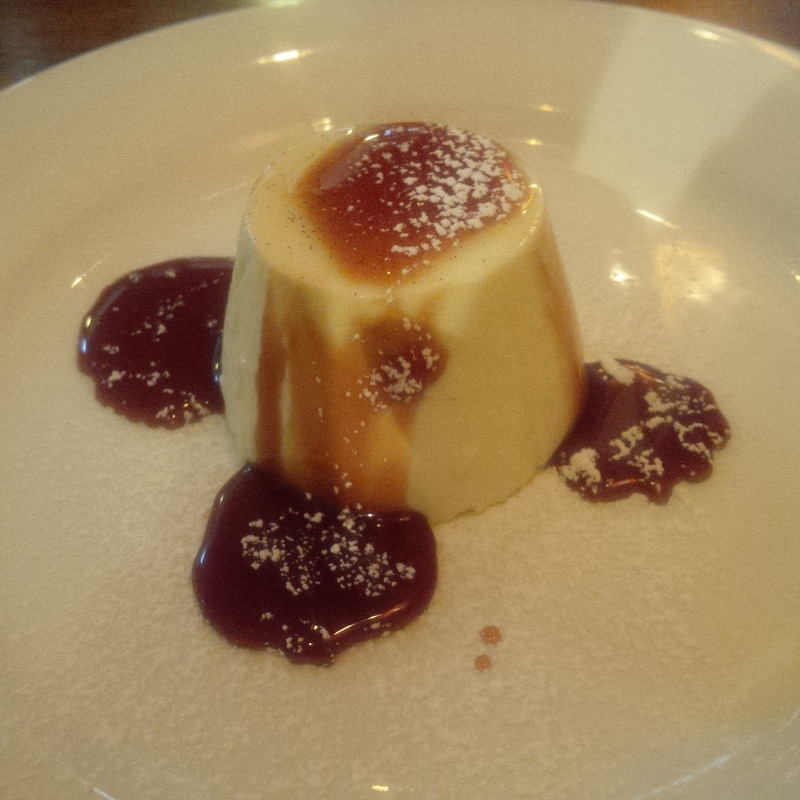 To finish the night the dessert is the Panna cotta with a red wine reduction sauce. You have the soft creamy Panna cotta which is a delight on its own, but the tang of the red wine cuts through the mellow flavour of the Panna cotta making it such a delight. The wine continues to flow, senses are dulled, the world passes by, and the night is still young. You don’t choose a bottle of wine… it chooses you.